Animal Justice Canada Legislative Fund has released the results of a survey of the candidates for the four major provincial political parties in the June 12, 2014 Ontario provincial election. The survey asked candidates questions on animal issues including their position on oversight of the OSPCA, the prohibition of shark fin, the reintroduction of the Spring bear hunt and keeping cetaceans in captivity, amongst others. 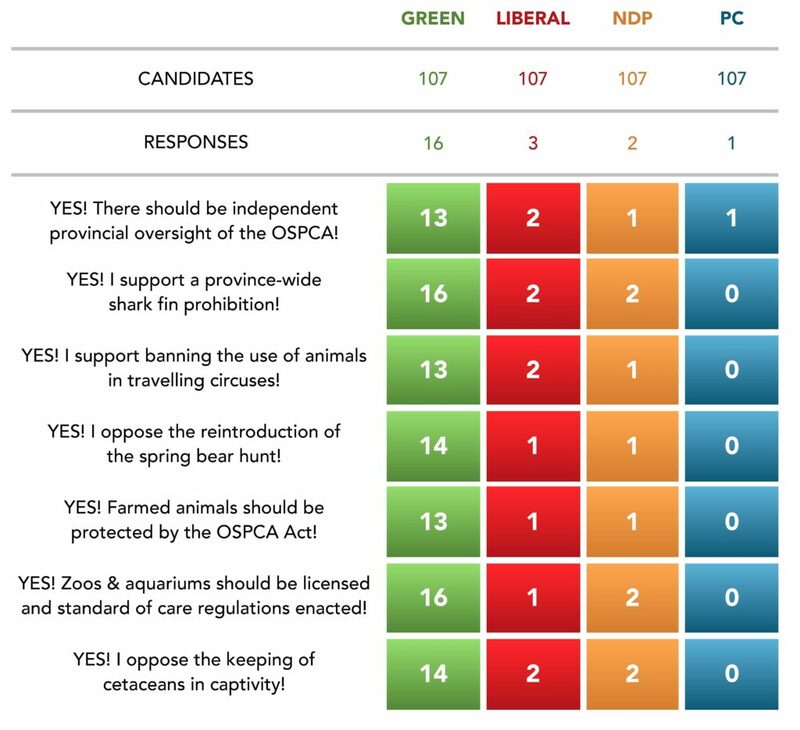 The election scorecard shows the number of ‘yes’ answers for each question in favour of animal protection policies from the candidates that responded to the survey. The Green Party had the most ‘yes’ responses, followed by the Liberals, the NDP and the PC Party. The score card can be read below and can be downloaded HERE.